So 2013 is now at an end an I think I can safely say that it is my most successful every year of climbing. I have managed to achieve personal best in all disciplines in climbing but also had some amazing days out and experiences. According to my UKC profile I have ticked 459 climbs in 107 days out. The days out is definitely an underestimate as there have been a number of days when I have failed to climb anything at all! 2013 started off quite badly as I dislocated my elbow at the start of January and missed the Ice world cup! It could only really get better from here really. Winter climbing is the way I usually start and end a year. This current winter season has been good for me so far. I have climbed personal bests with Cornucopia (VII 9) and Sioux Wall (VIII 8). My favorite winter day would have to be doing Orion Face and Tower Ridge on the same day back in April. I even managed a first ascent in Stob Coire nan Lochain with Alex McMillan in March, called Seattle Grooves. I have also done a lot of drytooling in 2013. Although I haven't improved my red point grade, despite being close, I have managed to flash/onsight a couple of M9's. I also managed to keep my hands on second place in the STS, loosing out to Peter Holder by one point! I haven't really climbed too much trad this year but what I have done I have enjoyed. In May I managed to onsight my first E5, a route called The Quickening at Reiff in North West Scotland. In July I managed to climb another E5 at Dumbarton rock near Glasgow called Physical Graffiti. In June I made a trip to the Hebridean islands of Pabbay and Mingulay with some friends from university. I really enjoyed the trip and the highlight of it was climbing Voyage of Faith (E3) on Dun Mingulay on our last day. My favorite trad route of 2013 is quite close between Wuthering (Stanage), Empty on Endorphins (Reiff), Golden Fleece (Reiff) and Big Country Dreams (Cambusbarron). I spent most of the summer driving around Northumberland bouldering, although I did manage a few trips further afield. The highlight of the summer has to have been climbing Sprung at Bowden Doors, my first font 7c! It is easy for the grade I know but you have to start somewhere don't you. I have done so much bouldering this summer so its hard to pick out my favorite problems. In June I managed to climb Spank the Monkey at Cambusbarron, which is one of the best boulder problems I have ever climbed, and its in a grotty hole in the ground which makes it even better. Similar in setting, but completely different in style, is Gloom at Rothely in Northumberland. I loved working this problem and was so chuffed to manage to climb it in July. I managed two problems this summer that I have tried a number of times before. These were Little Pixies (Back Bowden) and Si's Arete (Almscliff). My last bouldering highlight comes from a crag just 15 minutes away from my flat. I finally managed to climb the Low Black Wall Traverse on Edinburgh Sailisbury Crags! I have done a little bit of Sport climbing too, but this wasn't very impressive or interesting so its not really worth talking about. I even went to the Alps but its the same story there. To finish of the year I have been selected to for the newly formed British Ice Climbing Team and will be competing at the 2014 Ice World Cup! I should also thank those who have supported me throughout the year. Firstly I should thank Outdoorkit.co.uk who have been supplying me with kit to test and review. I should also thanks Scarpa for some new footwear to see me through the coming winter season and Schmoolz for making me a pair of fatter indoor ice climbing tools. 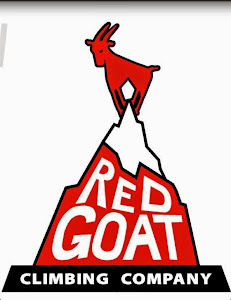 Red Goat and Rock City climbing walls, in York and Hull respectively, should also get a quick mention for supporting my climbing throughout the year. Also a massive thank you to everyone that I climbed with this year! 2013 has been my best year for climbing so far, and hopefully I can build on this for 2014.